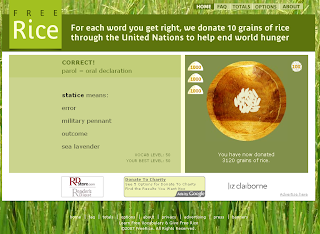 The goal the site is to increase people's English vocabulary while helping alleviate world hunger. 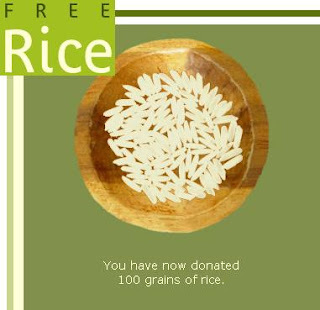 The website basically consists of a ongoing vocabulary "test," and for every correct answer, 20 grains of rice is donated towards alleviating someone's hunger. You can play as long and as many times you want, and I guarantee you that it will get addictive, lol. Plus, you can track your "vocab score" as you go along to track your progress.